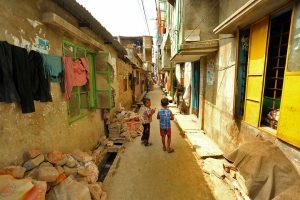 Home › Events › UHC › How can dialogues benefit urban health and universal health coverage? Urbanisation is one of the leading global trends of the present century and has a great impact on health. By 2050, over 68% of the world’s population will live in cities. In Bangladesh, it is estimated that if the current rate of urbanisation continues, its urban population will exceed the rural population by 2040 and will greatly impact the urban health. 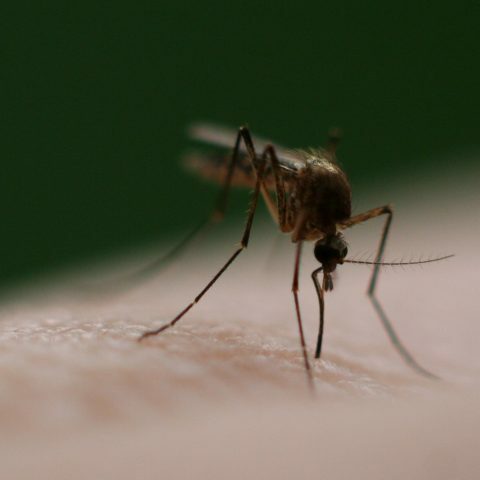 The factors influencing urban health are complex, including issues such as urban governance; population characteristics; the natural and built environment; economic and social development; services and health emergency management; and food security. icddr,b as a public health organisation, has initiated the Health Policy Dialogue (HPD) – a think tank initiative in health sector of Bangladesh, which has organised its third policy dialogue under the theme ‘Urban Health and Universal Health Coverage in Bangladesh’ with health professionals, policymakers, practitioners and representatives from government, NGOs and media recently at the CIRDAP Auditorium, Dhaka. The HPD was initiated by icddr,b’s ‘Strengthening Health, Applying Research Evidence (SHARE)’ project in September 2017. 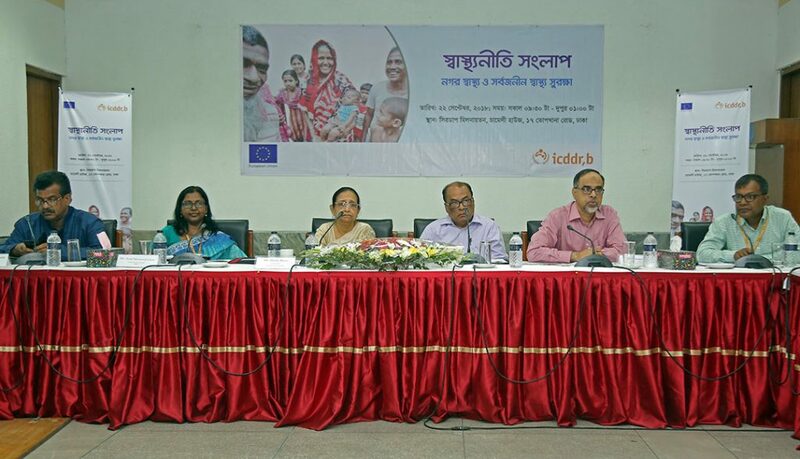 The policy dialogue discussion captured some of the existing challenges in the urban health and universal health coverage in Bangladesh, and attempted to explore practical solutions. This exercise is expected to help developing policy recommendations and influence future health policies and guidelines. Financial crisis should not be the reason for not getting health service. Professor Robaet Ferdous, from department of mass communication and journalism at the University of Dhaka, moderated the event and welcomed all the participants to discuss with some point to ensure universal health coverage, Inequalities in health service and good governance specially focused and highlighted such as present condition of urban health is inequality lack of health literacy, referral linkage and coordination in health service specially in slum dwellers. In the keynote presentation, Dr Sohana Shafique, assistant scientist and deputy project coordinator, Universal Health Coverage programme at icddr,b and Dr Md. Khalequzzaman, assistant professor, department of public health and informatics, Bangabandhu Sheikh Mujib Medical University (BSMMU) highlighted on the rapid urbanisation and related health shocks, inequalities in urban health, health care seeking behaviour of urban poor and epidemiological transition in urban Bangladesh. They have also discussed the challenges in the health system and importance of coordinated efforts between multiple actors working in this field. Other challenges attributable to this poor state of health are lack of catchment population; service duplication and dysfunctional referral systems. Experts suggested that urban population growth and abnormally high growth of slum population should be considered. Everyone irrespective of social status or financial condition should access health care no matter their financial or social status. The target is: “No one is left behind”. 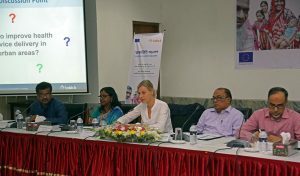 In her speech, Ms Doerte Bosse, First Counsellor, European Union, Bangladesh, highlighted the importance of social determinants of health and taking ‘Health in all polices’ approach in addressing urban health issues. In a big city like Dhaka, ensuring health is more challenging as multiple actors including MoHFW, MoLG, NGOs and private sectors are working simultaneously. Government must play an important role. Sustainable development goals and mechanism of partnership across all the actors is needed to solve the urban health problems. Have to ensure the human right of being healthy across all socio-economic classes. Magduma Nargis, ex- additional Secretary, MOHFW, ex- Project Director CBHC, Psychiatrist, suggested that to achieve UHC by 2032 for the heterogeneous urban population, planning with a long term clear vision needs to establish Community Clinics in urban areas, especially in slum settings, to ensure community participation by engaging local people through Community Support Groups. Dr Mahbub Elahi Chowdhury, scientist, UHC, Health Systems and Population Studies Division (HSPSD) at icddr,b emphasised the importance of government stewardship to strengthen Urban Health Coordination committee for improving Universal Health Coverage. Dr Iqbal Anwar, scientist, HSPSD, icddr,b discussed the responsibility of MoH for governance stewardship and highlighted the fact that municipality provided health services are not enough to make available health facilities for all. He suggested adapting short and long term plans like establishing a strategy for urban health immediately and increasing coordination between the City Corporation and municipality to achieve UHC. In his closing remark, Professor Dr TA Chowdhury, chief consultant, BIRDEM and the chairperson of Health Policy Dialogue (HPD) highlighted that recommendations from the HPD were well received at different levels of government and the need for a greater partnership under the stewardship of the Ministry of Health and Family Welfare (MoHFW) and among Ministry of Local Government, Rural Development and Co-operatives (MoLGRD&C), other relevant ministries, NGOs and the private sector with defined responsibilities to improve urban health in Bangladesh were recognisied. He suggested that more focused discussions should be organised periodically with productive participation from all walks of life. Representatives from different stakeholder groups including government, NGOs, development partners, professionals, academicians, journalists, mass media and participated in this event and shared their expectations and suggestions for improving urban health services in Bangladesh.